LET’S INCREASE OUR INTUITIVE POWERS BY PLAYING A GAME! WHO ARE THE LEADERS ON OUR PLANET WHO WORK FOR THE LIGHT? WHO ARE THE LEADERS ON OUR PLANET WHO WORK FOR THE LIGHT? Ascending to a higher level of consciousness means moving from dependency on our Intellectual (or lower) Mind to feeling comfortable following our Intuitive (or Higher) Mind’s guidance and insights. One of the most difficult challenges we face while making this evolutionary leap is letting go of the information our Intellect constantly feeds us. The Intellect is totally dependent upon the 5 lower senses to ascertain truth; it is the 3rd dimensional way. Well, folks, your Intuitive Mind doesn’t bother with making sense! How many times have you said, “I had an inkling about that, but didn’t listen? To listen to and follow the insights your Intuitive Mind gives you means going out on a limb … taking a chance. Your Intuitive Mind is always correct, IF you do not taint the insight with fear of being wrong. So …, during the coming weeks of intense energetic and physical changes, let’s play with our Intuitive Mind! We live in a world in which all that we have been taught is an outright lie or, at best, a partial truth. In the coming weeks or months, we will be confronted with knowledge of multiple lies and cover-ups. It is happening at this moment. The most positive, healing way to deal with all the shocking information is by knowing that our Intuitive Mind is dependable and will show us the way, IF we listen and follow. Depending on someone else to use their intuitive powers and tell us what to do or think does not assist us in our own ascension process. Intuit your own way and dare to follow it! Wow, that feels like standing on the edge of a cliff and being pushed off! Date … Describe the intuitive insight. Date … Record the result. Did you receive the insight correctly? If not, how did you taint it? With fear? … With little ego needs? Did you listen with an open, objective stance? In 2014, we are in crunch time. From here on out, we will be dealing with intense, life changing, often shocking revelations. Confusion is one of the favorite methods used to maintain control of the people. For this reason, disinformation abounds. Who do we believe? How do we know for sure who is right? 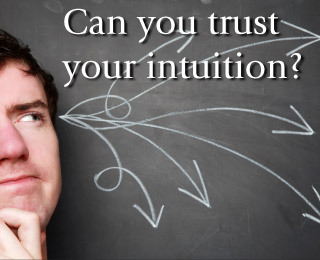 THE ANSWER: BY DEVELOPING TRUST IN & FOLLOWING OUR OWN INTUITIVE INSIGHTS! I suggest playing a game because it lessens the pressure of needing to be right. Truth will be revealed in the coming months, so we have a forthcoming means of verifying our intuitive insight. I hope you will dare to let us know your insights on facebook. However, if you are hesitant to share publicly, be sure to journal your insight for your own personal growth process. This does not mean you have to constantly be focused on the mainstream news, most of which is disinformation. 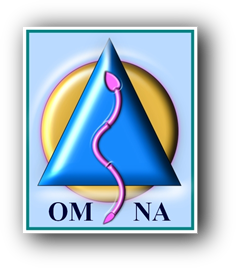 Simply be aware of the major events unfolding on our planet … do not allow yourself to emotionally or mentally fall into ditch with the chaos. You must hold your focus on a higher level … above the fray. Record your insights immediately, before you have time to think them over and taint them with 3rd dimensional ways of attempting to discern Truth, like: Does it made common sense? Does it sound reasonable? Is it practical? YOUR INTUITIVE MIND SPEAKS TRUTH. Common sense, reason, practicality, “but, I am an educated individual and was taught differently” cannot be concerns when attuning to your Intuitive Mind. When your insight comes from your Intuitive Mind, YOU KNOW. “I think, I guess, I’m not sure” are terms used when the insight comes via your Intellectual Mind. Circumstances on the surface cannot change the KNOWLEDGE derived from an Intuitive insight. YOU KNOW… PERIOD! I have played this game for years. As many know by now, I have named two world leaders that I intuitively KNOW are working for the Light: President Obama and President Putin. 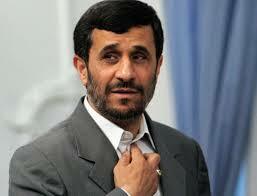 Today (8/16/14), I will add one more name–Ahmadinejad, the former president of Iran. The Tehran Times has reported the likelihood of his return to politics (http://www.tehrantimes.com/politics/117595-ahmadinejad-will-return-to-politics-ex-minister) My intuitive insight regarding Ahmadinejad came several years ago as I listened to an interview of him. ALL 3 OF MY INTUITIVE CHOICES HAVE BEEN DEMONIZED RELENTLESSLY BY THE NEW WORLD ORDER FOLKS! Filed under: Ahmadinejad, Intuition |	Comments Off on LET’S INCREASE OUR INTUITIVE POWERS BY PLAYING A GAME! WHO ARE THE LEADERS ON OUR PLANET WHO WORK FOR THE LIGHT?